Los Angeles locals are blaming navigation app Waze for hellish driving through a dangerously steep street in the area. But despite complaints, Waze isn’t changing its service just to accommodate drivers who can’t handle a freakin’ hill. 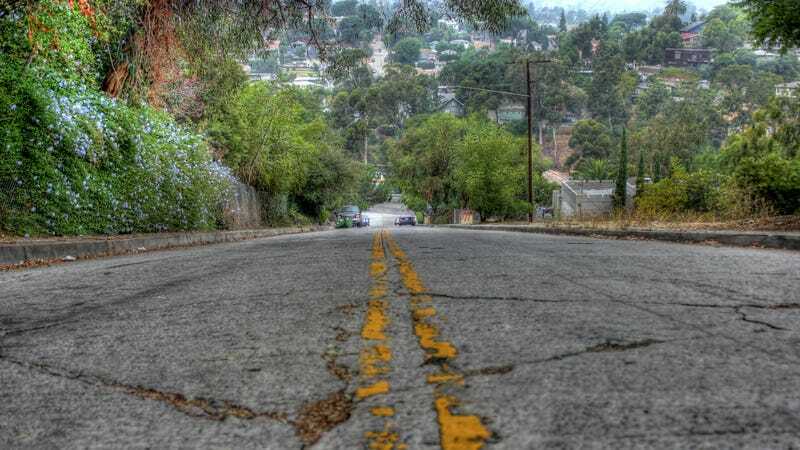 Baxter Street is not the city’s steepest street, but the Echo Park stretch has reportedly seen an uptick in accidents, and residents want Waze to remove it from its service altogether. The street has a 30-percent grade, which makes it steeper than San Francisco’s Lombard Street, CBS reports. “They said they couldn’t do that because it involves changing the algorithm of the app in a weird way,” Baxter resident Robbie Adams told the Los Angeles Times. Adams and other residents sent a letter to Waze asking it to either remove the street as a suggested route or list it as hazardous when it’s raining. Waze spokeswoman Julie Mossler told Gizmodo in a statement that the service is “the best place to check for conditions you may consider hazardous,” and that the company allows users to inform each other of dangerous conditions, such as flooding or steepness. Mossler also stated that Waze maps accurately indicate conditions of the road, both in respect to the laws governing the area or through temporary issues, listing potholes and flooding as examples. Waze’s statement doesn’t attribute its unwillingness to remove the steep street from its service to tricky algorithms. Rather, the company seemingly believes that, in comparison to similarly sloping streets, Baxter isn’t the worst one it sends users on. And San Franciscans don’t seem to be complaining.